of all the members of our community in Boca Raton, South Florida, and beyond. 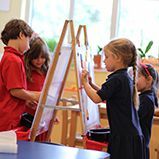 Every gift to Saint Andrew’s School makes a difference and allows us to deliver an outstanding private school education and a broad range of opportunities for our students and faculty. 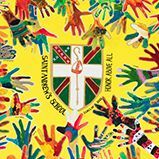 It is the ongoing commitment from our families and friends that makes Saint Andrew’s the vibrant independent school we are today. We recognize that your support represents the confidence you have in our institution, and we wish to assure you that your gift will be well and thoughtfully employed. Saint Andrew’s School is an independent school and a non-profit institution. Like most independent schools, Saint Andrew’s relies on financial support beyond tuition to deliver outstanding programs to our students. All gifts to Saint Andrew’s are tax-deductible as allowed by law. The Annual Fund is designed to help cover the current year’s anticipated operating expenses. Tuition covers almost 89% of these expenses. Gifts to the Annual Fund have an immediate and positive impact on our school community and benefit every child. Every member of our school community is encouraged to contribute to the Annual Fund, and all gifts are appreciated. This academic year, our Annual Fund goal is $1.3 million. The growth of the Saint Andrew’s School endowment is one of our highest priorities. With a larger endowment, our school has greater flexibility in reacting to economic cycles and has additional resources to attract and retain the best and brightest Junior Kindergarten through Grade 12 students and faculty. Endowment funds support scholarships, academic chairs, professional development, academic programming, facilities, and various other needs that advance the mission of Saint Andrew’s. All endowed funds are awarded in perpetuity. Today, the school has almost 70 named endowed funds and endowment resources in excess of $18 million. Unrestricted gifts to endowment may be made at any gift level and will be directed to general endowment. Private school leadership, including colleges, often explains that gifts of unrestricted endowment are the most valuable kind. This is true, not just because of the invaluable financial security and flexibility they provide, but for the clear message they send: we truly believe in the mission of Saint Andrew's School. Attractive opportunities exist to endow faculty chairs at Saint Andrew's School. With approximately 120 full-time faculty, endowed faculty funds reward and nourish the enrichment and continued excellence of the school's faculty. Not only do these funds recognize and encourage excellence in teaching by funding professional development, they also assist the school in recruiting and retaining the most qualified faculty to educate the students of today and tomorrow. Perhaps one of Saint Andrew's most important needs is to increase scholarship endowment. 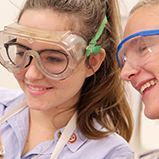 Our school seeks motivated, talented students of strong character; a gift to endowment would improve Saint Andrew's ability to provide excellence in education to exemplary students. 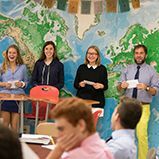 Independent schools of strong national reputation share in common an ability to matriculate students of the highest caliber who would otherwise not be able to afford full tuition. For Saint Andrew's, this capacity would directly improve the quality of education. Capital giving provides significant funds for new construction, renovation of facilities, and other special projects. In recent years, facility improvements have included the addition of the Stoops Family Gymnasium and renovations to the Middle School pods, the Saint Andrew’s School Track, the Toppel Family Courtyard, and the playground on the Nina and Edgar Otto Lower School Campus. Thanks to many within our community, construction of the Saint Andrew’s Welcome Center was completed and dedicated in 2014. In 2016, the Campus Bookstore, sponsored by Office Depot, was relocated to the Richman-Aker Student Commons and named Scots Corner. Most recently, we opened the Dr. Albert Cohen Family Center for Entrepreneurial Studies and the Kessler Digital Media Institute. These state-of-the-art facilities transform the face of the Upper School campus as a hub for innovation. Many other campus projects and goals to increase the school’s endowment are planned. Saint Andrew's School established The A.D. and Lucy Henderson Legacy Society to recognize donors who include Saint Andrew's in their estate plans, make leadership gifts in support of endowment, and/or choose to establish an endowment fund. Gifts to endowment provide financial stability, serve a variety of purposes, and provide a permanent source of annual resources that maintain and improve the educational experience at Saint Andrew’s. Proceeds from these funds may be directed toward Faculty Enrichment and Development, Faculty Compensation, Financial Aid, Global Experiences, and/or Facilities Maintenance. The financial tools used to grow endowment and create tax-wise legacies may take a variety of forms and will yield significant immediate and long-term benefits for both the donor and our school. A strong endowment is a promise that our school’s mission will endure in perpetuity. Please consider making your gift and help sustain Saint Andrew’s School for future generations of Scots. 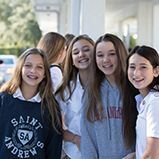 Saint Andrew’s hosts a number of events on our Boca Raton campus...some open to the entire community, some just for students, and some special events by invitation only. In addition to the all-school events listed on the right, many academic, athletic, performing arts, and alumni events are scheduled each week. Be sure to view our Main Calendar, Athletic Calendar, and Alumni Page for more. By contributing a minimum gift of $1,000, you become a member of the Scots Society, a special and prestigious group of Saint Andrew’s supporters whose leadership giving reflects an extraordinary commitment to the students and faculty of Saint Andrew’s School. In addition to special recognition in the Saint Andrew’s School Annual Report and magazines, Scots Society members are honored at the annual Scots Society Celebration held on campus each fall. Make your gift. This outdoor event is a fun-filled family affair centered around our Homecoming football game and featuring a barbeque dinner and halftime fireworks provided by the Booster Club, face painting and crafts provided by Friends of the Arts, and an ice cream social and other activities provided by the Saint Andrew’s Parents’ Association. Also, don’t miss the silent auction “Under the Tent” and your chance to purchase tuition raffle tickets. Saint Andrew’s Day is a time when our school community comes together for an all-school Chapel service to honor our patron, St. Andrew, and celebrate our school community. All students in grades JK-12, alongside faculty, staff, and administration join together for this very special event in recognition of our Scottish heritage and Episcopal traditions. Highlights include a ceremonial procession led by bagpipers and performing arts presentations. We look forward to welcoming over 1,200 Saint Andrew’s grandparents this annual three-day event highlighted by student performances, brunch, and classroom visits. This annual day of golf, dinner, and awards is open to all members of the school community. Proceeds benefit the athletics program at Saint Andrew’s. Saint Andrew’s School values and honors those members of our community who demonstrate philanthropic leadership through their contributions to the school. Our donors set an example of generosity for fellow alumni, parents, grandparents, and friends, and play a vital role in ensuring that Saint Andrew’s continues to thrive and grow each year. 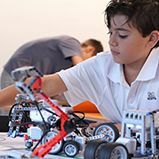 A non-profit, independent, co-educational school for grades Pre-K - 12, Saint Andrew's School is a private day and boarding school located in Boca Raton, educating the best students from across Palm Beach County, Florida, the United States, and throughout the world in the Episcopal tradition.